What’s up BP lovers? Long time no blog, but I’ve been getting on with a few bits and pieces. Firstly, here’s my first proper self portrait, commissioned by Bob Turner as part of his comic artists self portraits series . I’m pretty pleased with it, the idea was to represent how I draw, which is basically to hunch over any given surface with a pile of drawings and reference material. This was a one-hour drawing too, so it came together pretty quickly (you too can commission a one-hour drawing from me here– ed). 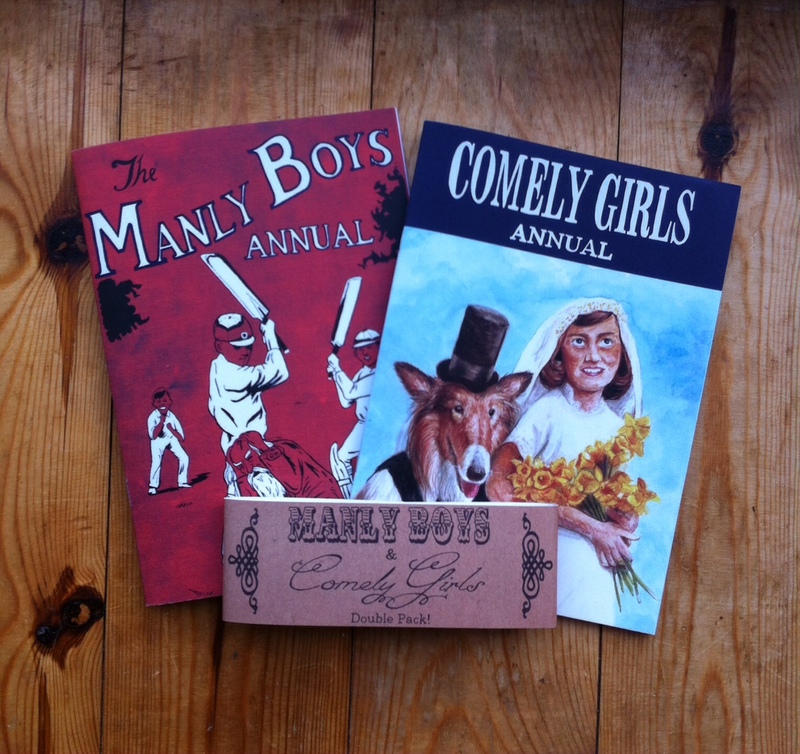 There’s also exciting news about Comely Girls afoot, the long overdue follow up to Manly Boys, my collaboration with Gareth Brookes about the brutality of childhood. And if you’re desperate for BP updates, please follow my tumblr as there’s more updates and randoms on there. Compliments of the season to you bargain hunters pig lovers, hope you are well. Firstly, inkeeping with a hallowe’en theme, here’s my zombified twitter profile pic (everyone’s doing it you know) and as it’s only small over there, i thought i’d display it here in all its glory. What else? Oh yeah, here’s an excerpt from a piece i did for the next OFF Life comic, hopefully they’ll use it. it’s another multi-panel job, incorporating another view of the Schwarzwald and a monster, like i’ve been messing about with recently. Also, i’ve put some digital comics on Comicsy, to see how that goes, it’s a new venture that will hopefully create a bit of interest in UK Small Press, so check it out if you haven’t already. 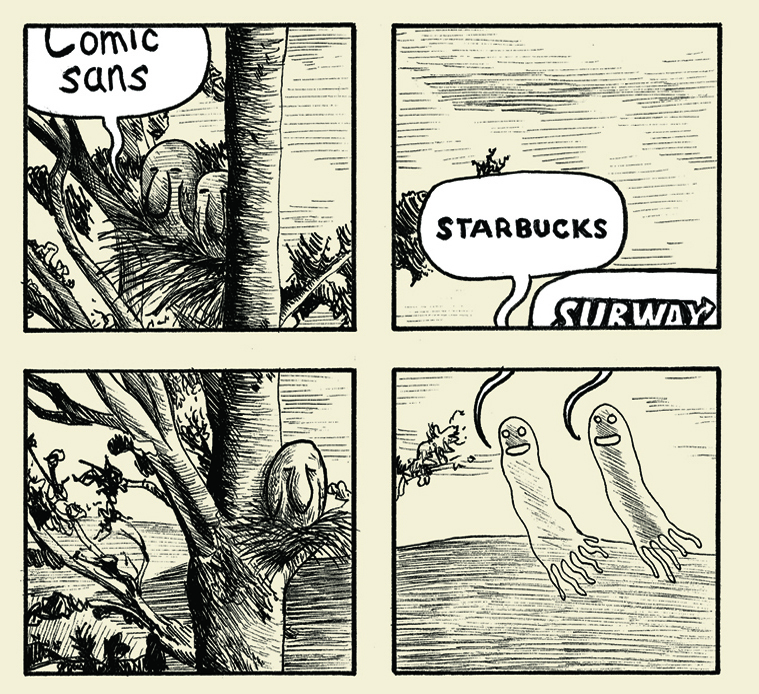 I’ve got a PDF version of Chris Sandwich on there, which isn’t available anywhere else! 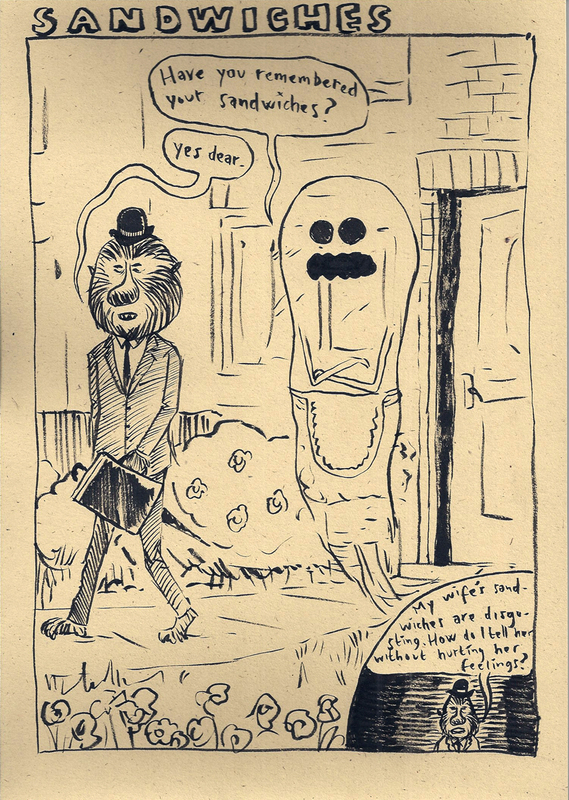 Otherwise, i’m still building up to going back to work, but no-one seems to want to employ me somehow, and there’s been talk of a third Ethel Sparrowhawk story, which will probably appear in webcomic form. I’ve decided to make some of my out-of-print comics available as pdfs for an extremely miniscule fee, including the very well received Ethel Sparrowhawk, which i’ve done a new cover for as the wraparound print cover isnt that punchy when it’s just the front bit (which is possibly my design skills at fault, but it was 5 years ago) and was in boring black and white on grey card, so i’ve jazzed it up a bit, whilst still keeping it melancholy. 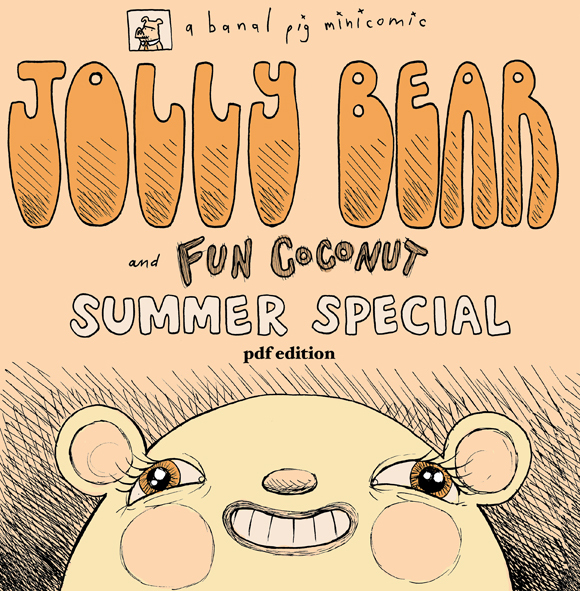 Likewise with Jolly Bear and Fun Coconut Summer Special where i’ve done a little colouring job on the original cover, which was just line art printed on a peachy card, so i’ve stuck to those kind of colours. Even though it was one of the first comics i did, it’s still one of my favourites and features a great poem by Gareth ‘Gaz Top’ Van Brookes in the first part, and lots of pictures of ‘Basic Instinct’ in part two. 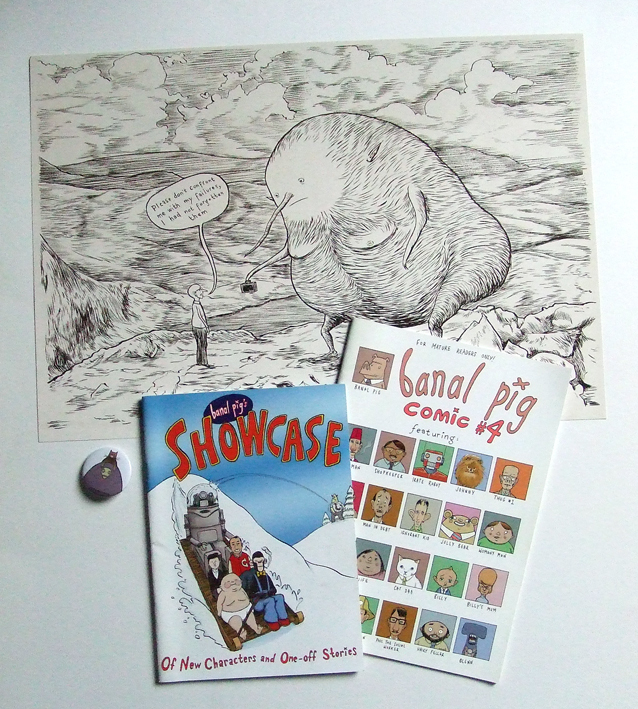 Also available, the Completist comic, collecting anthology and unseen works by myself and Gareth, and the Banal Pig Landscape Anthology, which features the cream of British small press creators including Stephen Collins, Oliver East, Paul O’ Connell and Daniel Locke. The only reason i’m not reprinting this is that its full colour and is really expensive to print, so please check it out. You can buy them all individually, or as a bundle for just £2.50 which is a ridiculous bargain. I’ve had a free and easy day today, so i decided to throw open the subject matter of my day of drawing to suggestions from facebook and twitter, and here are the results. Firstly, Ethel Sparrowhawk co-creator Jemima Von Schindelberg suggested ‘David Cameron eating a big sandwich while England burns’. 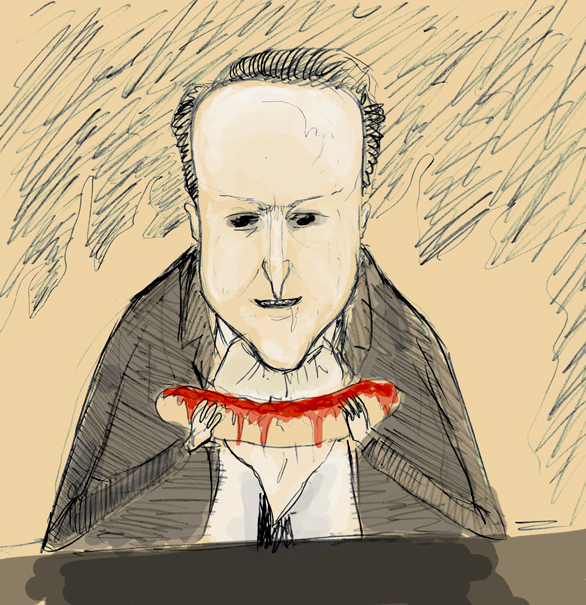 I enjoyed drawing Cameron, with his smooth bulbous head and funny little teeth, and i had to stop myself making the sandwich a metaphor for the working classes or something, like they do in political cartoons. Next, another old pal Ez suggested ‘an Avenger’. i’ve always fancied drawing Scarlett Johansson’s funny face so here it is, where she is black widow in the avengers film. 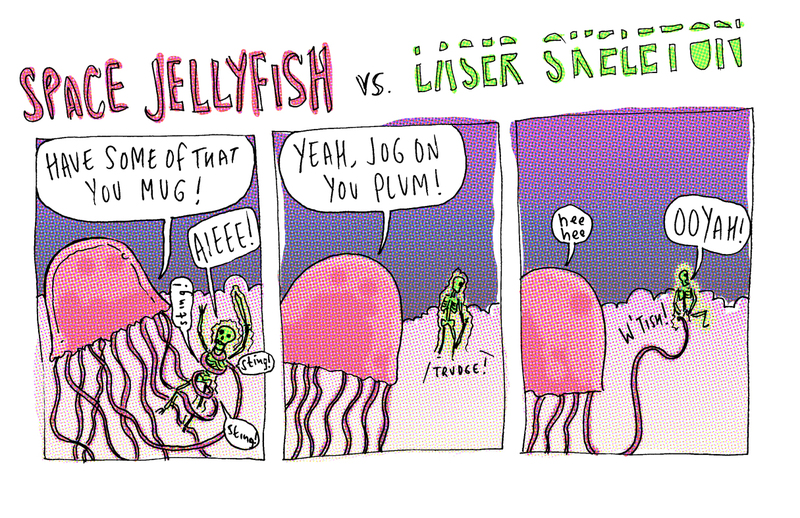 Next was a suggestion from twitter, ‏ @CandyLikesFrogs suggested ‘Jellyfish’, so to mix things up a bit i did a strip, featuring our old pal Laser Skeleton, another one of the old space battles series i first did for the funnies. 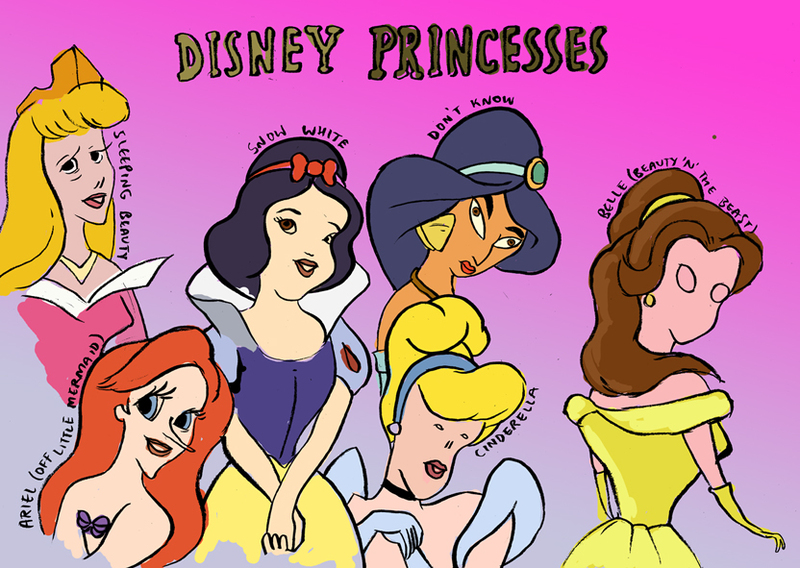 and lastly, @metalblackbird suggested ‘Disney Princess’, and i did it in pen with a bit of colour to mix it up again. 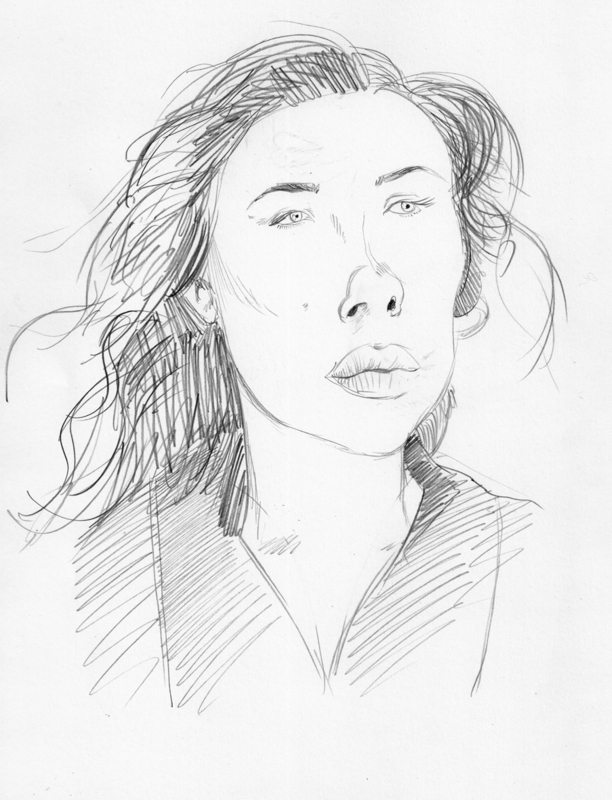 i’ve quite enjoyed knocking these out, i might do it again on a slow day, but if you fancy having something drawn especially for you that you can own, touch and display on your wall, you can get a one-hour drawing for just £20, details here. 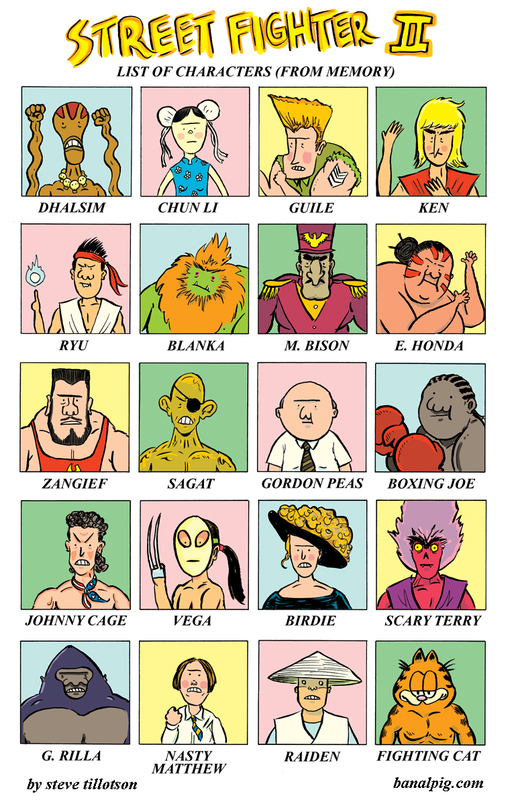 here’s another new poster which, all being well, will be available for thought bubble this weekend. it’s the father of science fiction, HG Wells, riding on a pig. 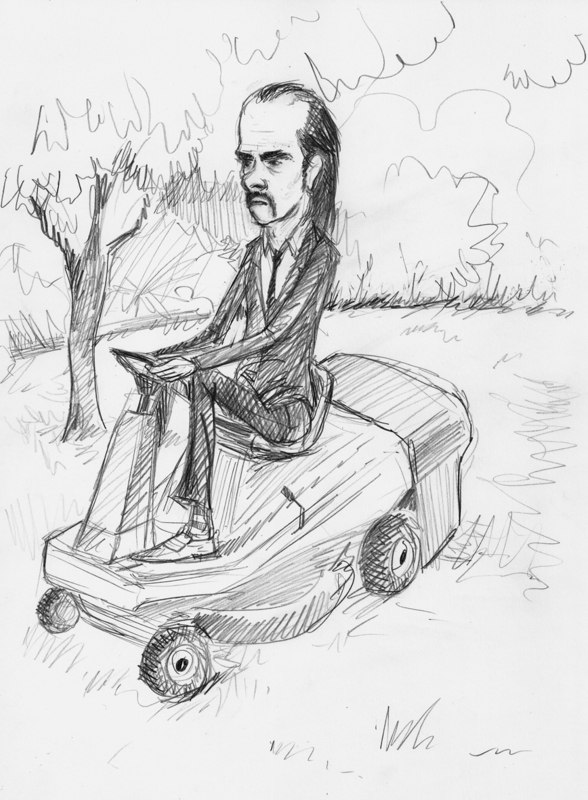 I just thought of it the other day, and i fancied drawing it. Along with this and these I’ll have 5 posters for sale in total, which is a new thing for me really but i’m enjoying doing the big images. 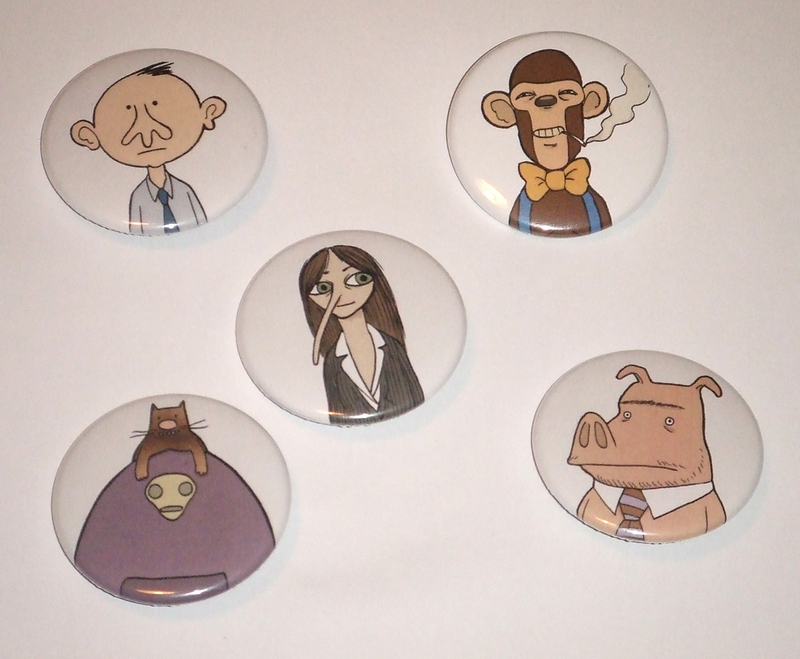 Also available will be these fine badges below, representing some of my best loved characters (and chris sandwich). i recommend buying the chris sandwich badge, as it will be the collector’s item of the future due to it’s unpopularity at the time of release. 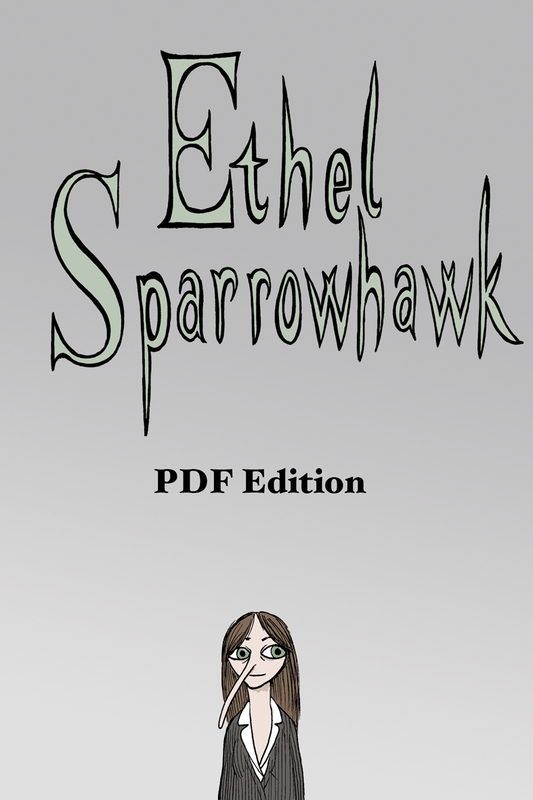 That’s right, as there’s only 1 copy of the first Ethel Sparrowhawk story left, and I cant afford to reprint it, i have decided to put it online here. 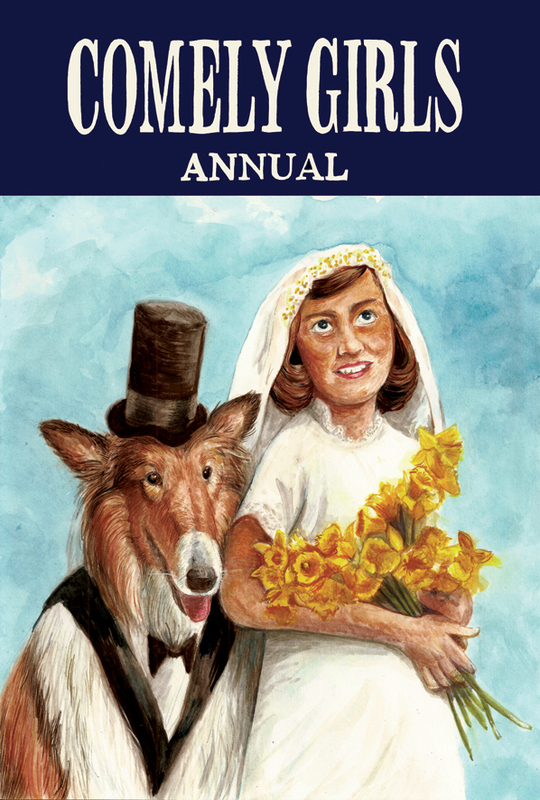 Hopefully this will whet all your appetites for the imminent Ethel Sparrowhawk’s Terrible Hangover, available very soon.